Course Website: Official Website - Visit Tobacco Road Golf Club's official website by clicking on the link provided. 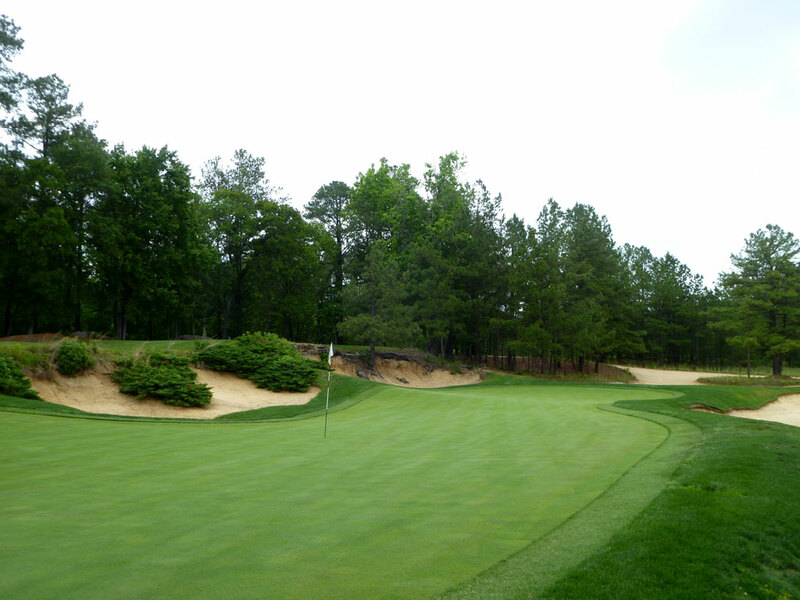 Accolades: Ranked 1st in North Carolina on Golf Course Gurus' Best in State list. What to Expect: Wow, what to expect at Tobacco Road. Where do I start? 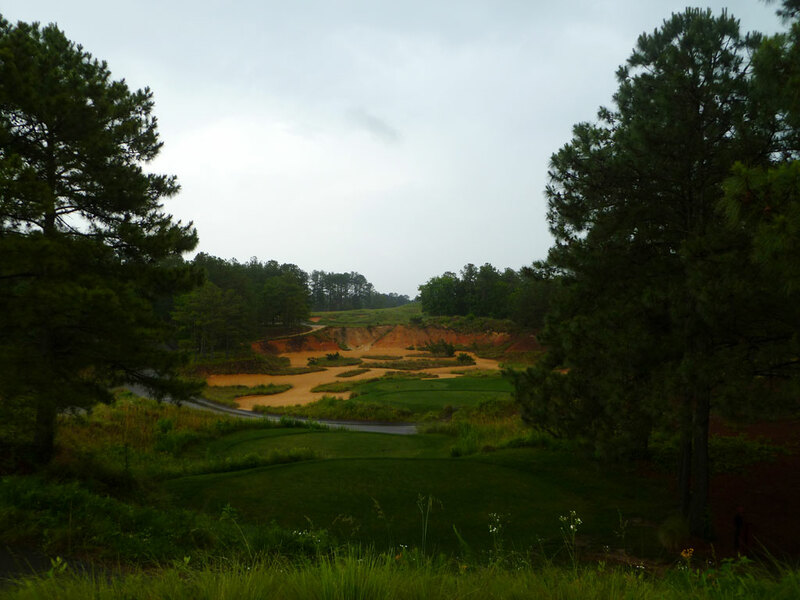 Tobacco Road is the most extreme course you’ve ever played . . . but on steroids. 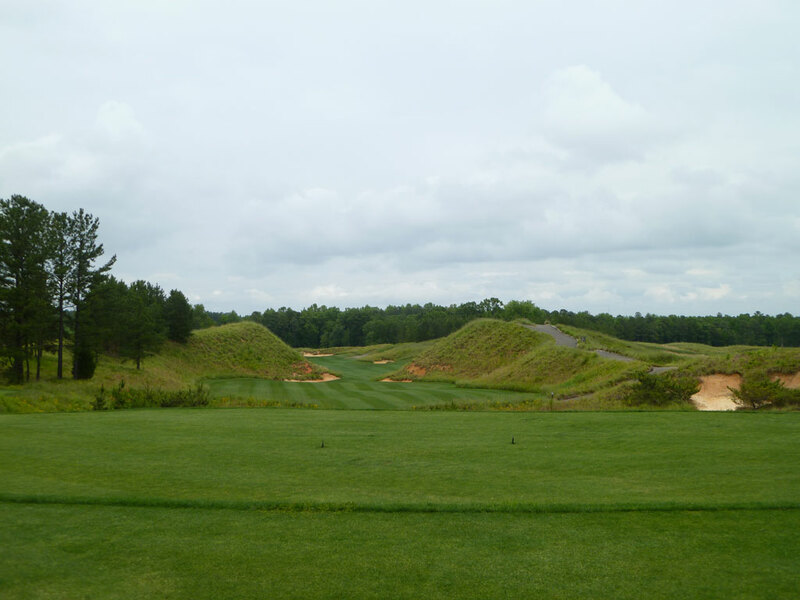 There is more “wow” factor at that course then the rest of North Carolina’s offerings combined. It literally is one signature hole after another. Quirky at times? Yes. Difficult at times? You bet. Engaging the whole time? ABSOLUTELY! The only course that I can draw a comparison with Tobacco Road is Wolf Creek in Mesquite, NV. The layouts aren’t similar, the settings aren’t similar, but the “wow” factor is off the charts and they are the only two courses I’ve played where I felt like I left reality and entered into a video game; they are that extreme and that fun! The greens at Tobacco Road aren’t your typical shape or size with massive undulations, sometimes incredible widths, and always interesting. From the opening tee you get a taste of what to expect as you gaze down from the elevated tee to the fairway below that boasts two massive mounds pinching the fairway down and creating a blind second shot unless pin point accuracy was utilizing off the tee. A second ridge and pinch point is found beyond the first and again blocks the view of the green more often than not. Throughout your round, you will contend with some Sahara sized bunkers, some forced carries, some wild putts, several elevation changes, and full time fun. The conditioning is great, and there is actually more forgiveness throughout the course then you might imagine. The intimidation factor may balloon some players’ scores right off the charts, but most low handicappers will shoot right around par given the relatively short length (6532 yards) and numerous holes that will yield birdies. 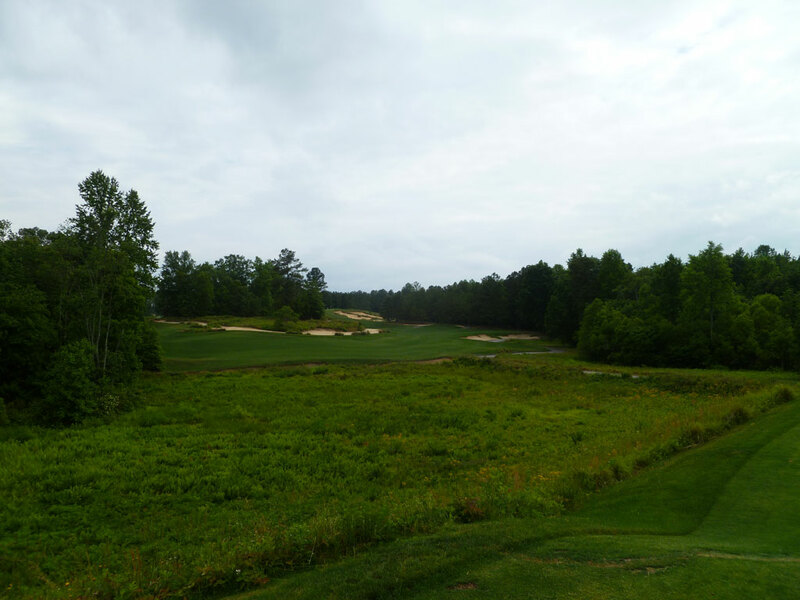 Signature Hole: 14th Hole – 194 Yard Par 3 – Identifying a signature hole at Tobacco Road isn’t ever fair to ask. In fact, a better question would be to identify a hole that couldn’t be considered signature. 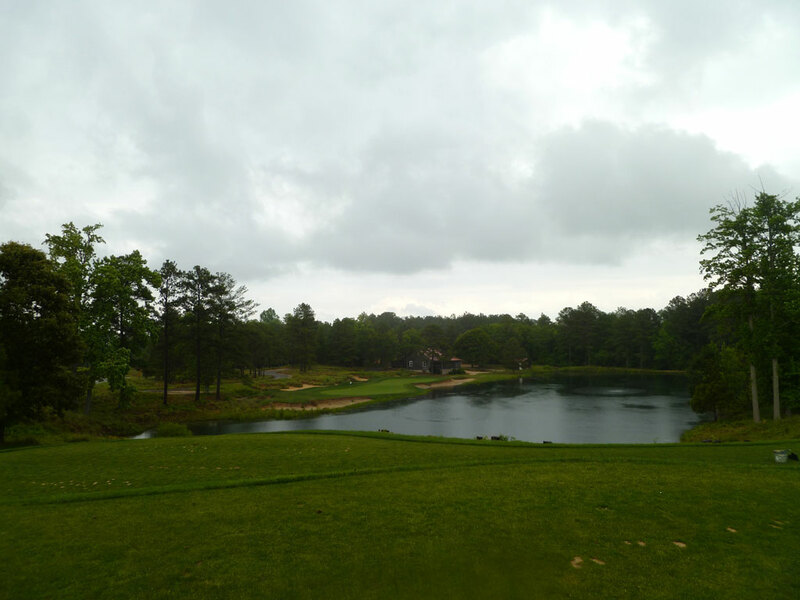 But for the sake of the category, the downhill par three 14th over water is certainly worth identifying, especially considering it hosts the only water hazard on the property. The large two tiered green is protected by a lake on the right and bunkers on the left. The further back and right that the pin is, the more treacherous this hole becomes. Seven tee boxes are scattered along this beautiful par three delivering a variety of distances and angles in which to attack this challenging green from. Best Par 3: 6th Hole – 148 Yards – This sub 150 yard one-shotter features one of the widest, shallowest greens I’ve ever encountered. Surrounded with a waste area in the front and bunkers in the back, the shallow green is sloped in a fashion to be more receptive than the depth may indicate. 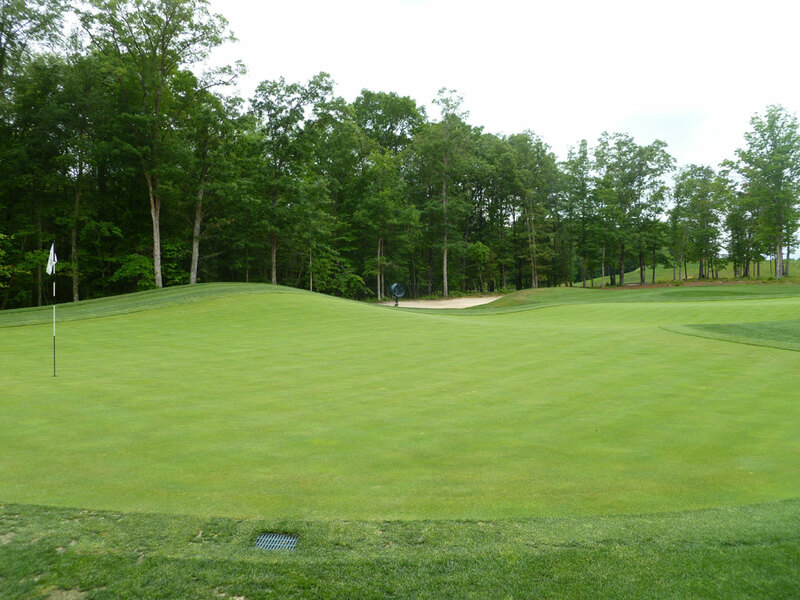 The tee shot is all about distance control given the amount of trouble surrounding the putting surface and the lack of a bail out area, but at just 148 yards from the tips this do-or-die hole is a favorite among Tobacco Road’s patrons. Best Par 4: 18th Hole – 432 Yards – The final hole at Tobacco Road is scenic, challenging, and one of the more straightforward holes on the property. 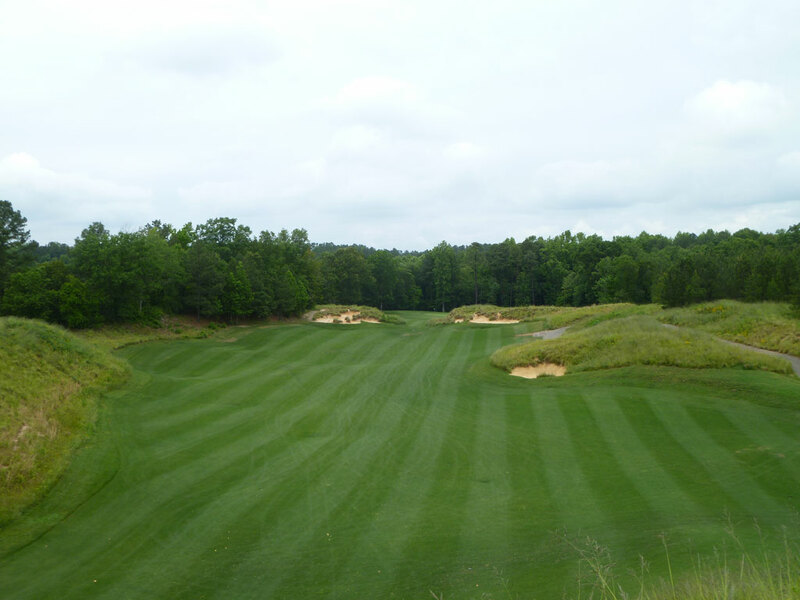 A forced carry over an expansive waste area is required off the tee in order to find the relatively generous fairway. The approach shot is fired over a narrow strip of fairway that is tightened down by neighboring bunkers before opening up at the green site. 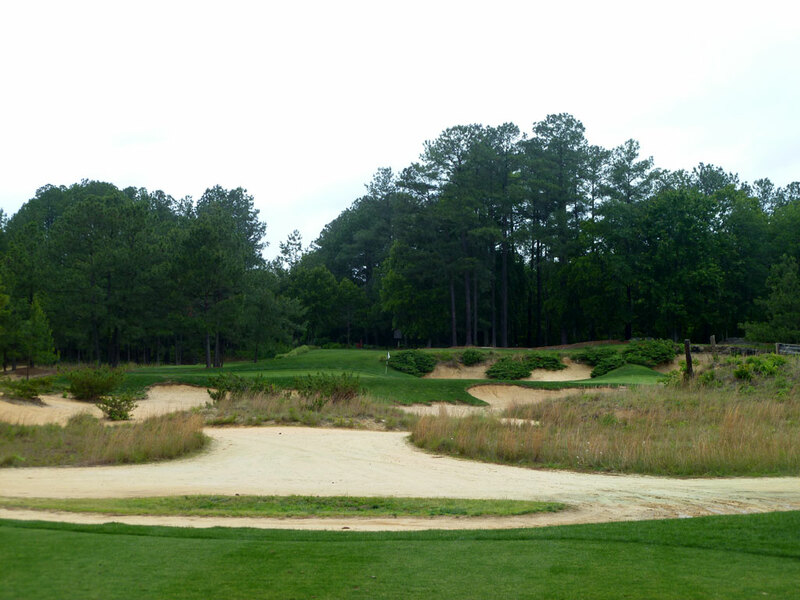 To the left of the green is a large collection area that is challenging to chip from while the right side slopes to a bunker and is bowled in by the surrounding dunes. Greens in regulation here are tough to come by and can result in a very rewarding par. 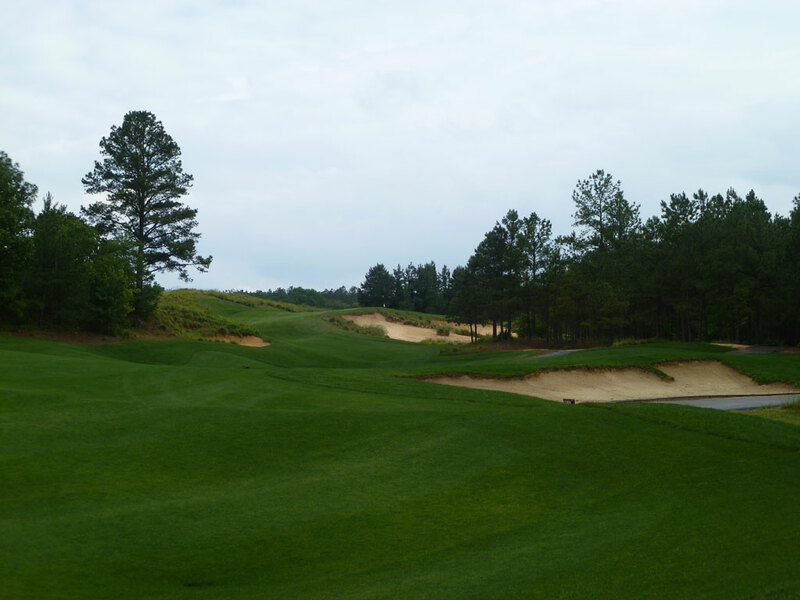 The collection of par fours at Tobacco Road offer everything from split fairways, to blind shots, to huge elevation changes; but in the end, the well conceived 18th hole is the perfect way to wrap up the round and have players anxious to come back for more. 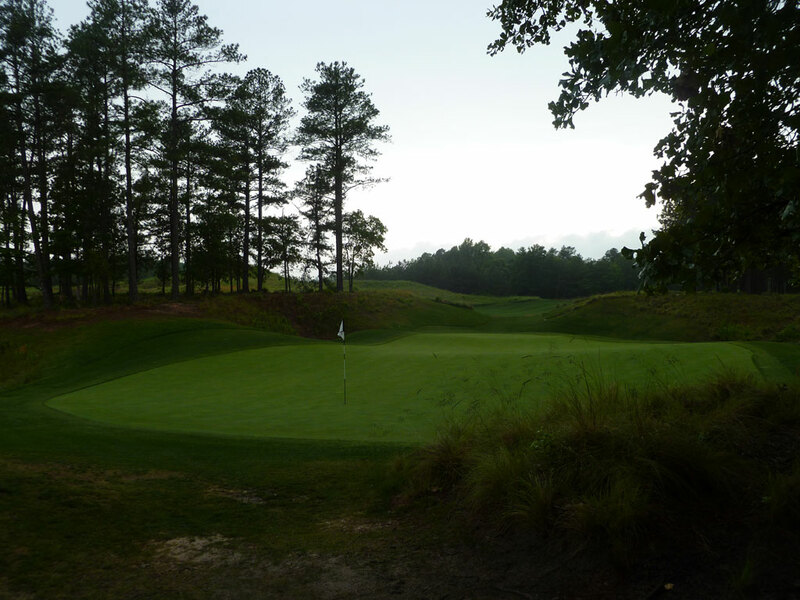 Best Par 5: 1st Hole – 558 Yards – The drama that is offered from the onset at Tobacco Road is rivaled by very few courses. Two massive mounds frame the hole and pinch the fairway to an extremely tight avenue before spilling through and rewidening beyond the mounds. The second half of the fairway tightens down again and blocks much of the view of the green. Reaching this green in two means roping a blind shot to a green that is protected by a trio of bunkers to the right of the putting surface. If choosing to layup, the fairway widens a bunch beyond the second narrows are leaves a relatively easy shot into the green. This is one of the most exciting, intimidating, and interesting opening holes in all of golf. Birdie Time: 3rd Hole – 152 Yard Par 3 – Whenever you tee up at a par three with a low iron in your hand, confidence should be oozing out of you as you take dead aim at the flag. Obviously the best chance at scoring birdie comes from when you have a putter in your hand, and with the 3rd hole sporting one of the deepest greens on the course there is a good chance you will be hitting this putting surface in regulation. The green features a huge lip at the front left portion which will feed balls well back into the green and potentially propel a mediocre approach shot into being a great approach shot. Boasting a huge green and undulations that get the ball rolling, this short par three is a great way to get under par early in the round. 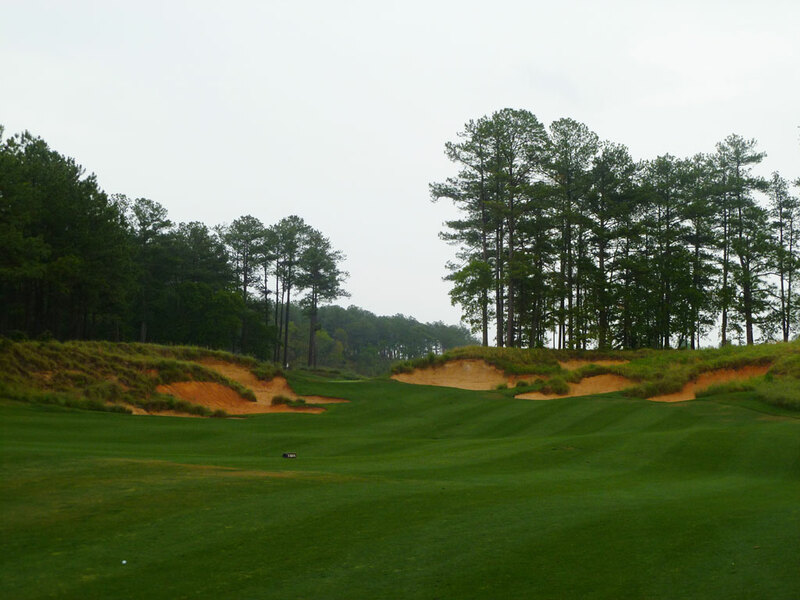 Bogey Beware: 9th Hole – 427 Yard Par 4 – Known as one of the more controversial holes on the course, the 9th hole at Tobacco Road covers 427 of the toughest yards you’ll ever face. The entire hole is lined by sand other than the final portion of the left side where foliage covers the neighboring hillside. The easiest part of the hole is the tee shot due to the extremely wide fairway offered that starts to narrow up as it climbs up closer to the green. 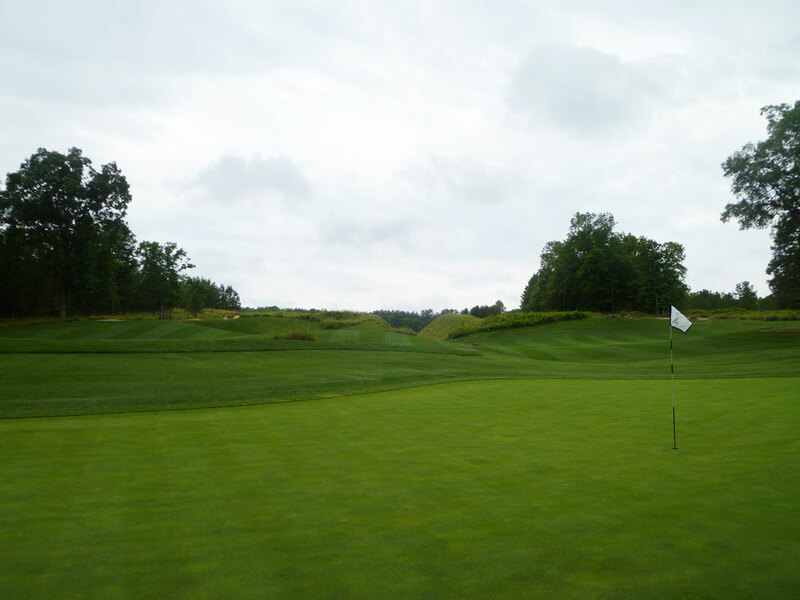 The approach shot plays way uphill and features a massive, sloping bunker right of the putting surface. With garbage left and an incredibly difficult bunker to play from on the right, there is no forgiveness on this approach shot that plays to a long, narrow green boasting an extra tall flag so that it can be seen from the fairway located well below the green site. If you have a difficult time bringing in your iron shots high and soft, this hole is going to be a bear to get through. Once you work your way to the green, a two putt is no gimmie considering how deep the green is and the undulations that are waiting to push your putts off line. 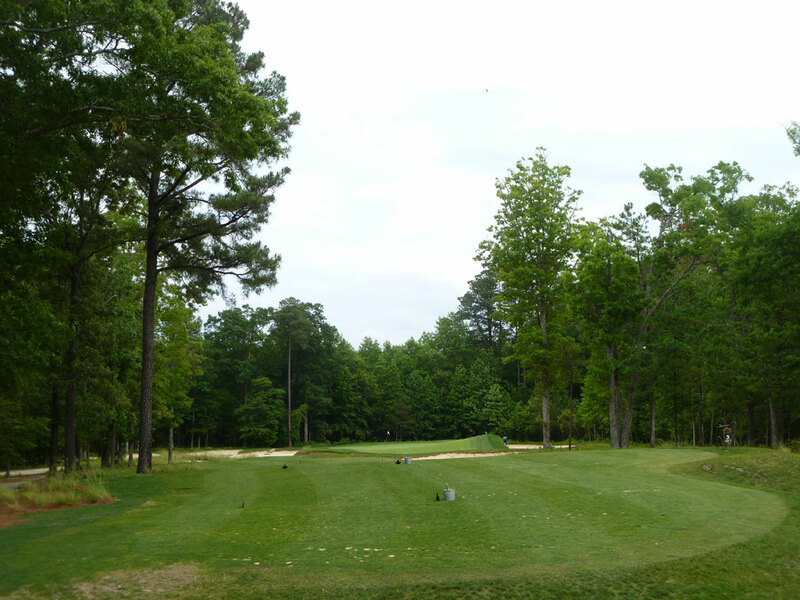 If you can avoid a bogey on the 9th hole, you are likely playing well enough to earn a great score during your time at Tobacco Road.